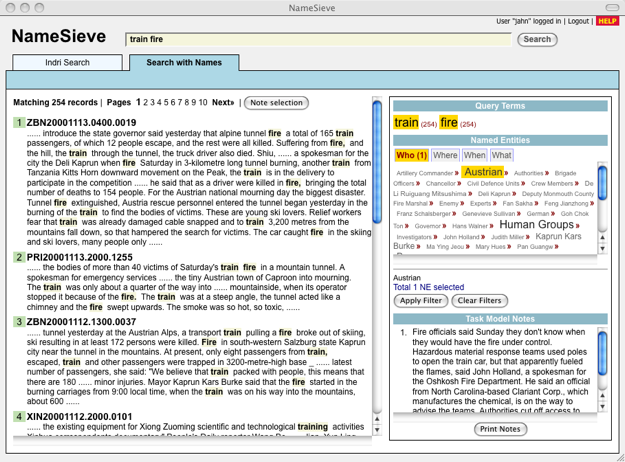 NameSieve is the second member of the *Sieve news filtering series (the first one is TaskSieve). It supports filtering by named entities. Even though the personalization is not supported yet, users are provided with the interface with which they can select important names extracted from the ad-hoc retrieval lists. By selecting some relevant names, they can post-filter the original retrieval lists and get the ones that only contain those names.